Sol LeWitt (Hartford, Connecticut 19282007 New York) is one of the most important developers of American Conceptual Art. This movement, which he decisively influenced in America from the mid-1960s onwards, is characterised by the artists turning away from the invention of their own pictorial worlds in favour of clearly defined, seemingly objective pictorial content. 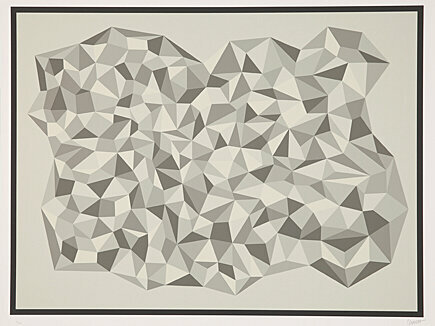 Sol LeWitt almost always worked in series. 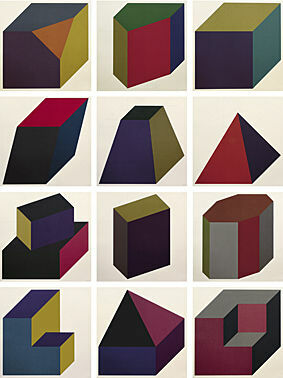 Following self-imposed rules, he developed new variations of various basic forms. He rotated these by a few degrees, divided them according to an arithmetic or mathematical principle, and changed the colours. Rectangles, circles and cylinders, cones and polygons were used to create numerous different figures and new spatial models. Printmaking offered the artists of the conceptual movement an excellent form of expression to work serially. During this period, the techniques of printmaking became artistic media on equal footing with painting and sculpture.